The Netherlands is a densely populated, low-lying coastal country and besides that it is the delta of the rivers Rijn, Maas and Schelde. There are also many smaller rivers and some 3000 polders. 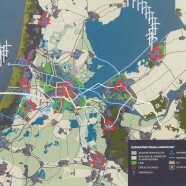 The metropolitan area ‘Randstad’, the heart of the Dutch economy, is largely situated below sea level. All these factors make our country vulnerable to rises in the sea level and periods of extreme rainfall or drought. The history of the Netherlands is characterized, among other things, by the ‘struggle against water’. The prognosis of the rise in the sea level due to climate change has made the Netherlands sit up and pay attention. Alongside the existing mitigation policies (reducing greenhouse gas emissions), adaptation policies (reducing vulnerability and risks that arise from climate change) are now being developed. The Netherlands must also confront an approaching energy problem. Since 1960, the extraction of gas from underneath Dutch soil has greatly stimulated the economy and made the country relatively independent in the supply of its own energy needs. It is estimated that the Netherlands can draw on its gas reserves for the next 20 years. After this time, it wants to continue to supply its own gas requirements while continuing to play an important role in the supply of gas in Europe. To achieve this in a sustainable and durable way an energy transition (switching from fossil to sustainable energy) was formulated several years ago. With these policies on mitigation, adaptation and energy transition, the central government would appear at first glance to react adequately to the climate issue. The Dutch government endorses the global and European climate treaties and also the resulting objectives. Through its climate policy, the Netherlands even aspires to act as an example in Europe. However, it is doubtful whether the Netherlands will be able to meet its own targets with the current efforts, let alone achieve the tougher targets that will likely be decided at the coming climate summit in Copenhagen. If the central policy is studied more closely and the results of previous efforts are analysed, it would appear that a great deal of work still needs to be done. 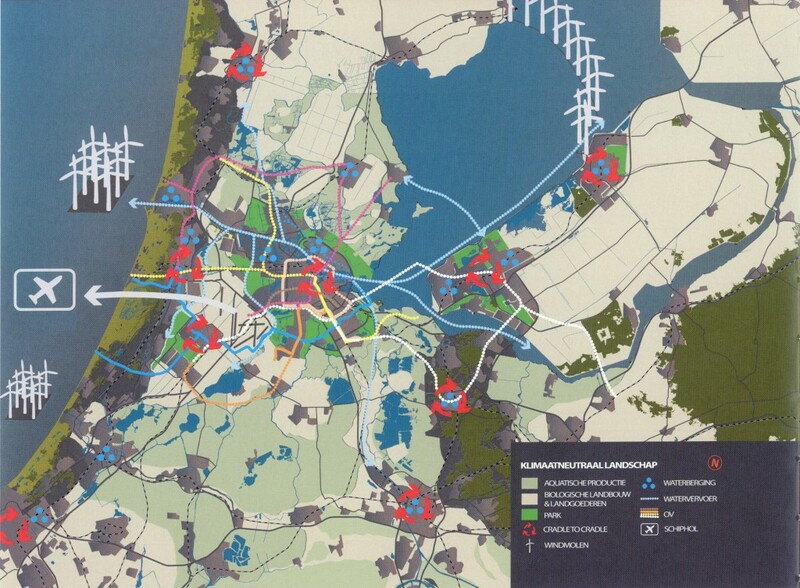 Much more effort is required before the Netherlands can actually develop in a way that it can become climate-proof in the very long term, will be protected against flooding and will remain an attractive place for investment and a healthy place to live, work and recreate. To achieve this, new policy is required at various levels; from national level, regional level, urban regional and city level, district level, down to the level of housing estates and industrial estates. This new policy needs to be boundless in the sense of looking beyond the limits of regional or urban areas, working on ideas and projects that break new ground and representing interests that go further than the borders. The Dutch government has made a start with its policies for mitigation, energy transition and adaptation, but it is not enough. Fortunately certain regions, provinces and cities in the Netherlands have developed their own policies and plans which go beyond the national policies. 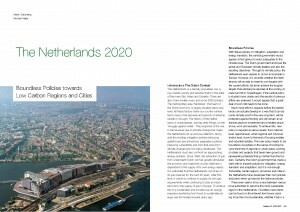 The article ‘The Netherlands 2020, Boundless Policies towards Low Carbon Regions and Cities’ by Martin Dubbeling and Michaël Meijer is published in the ISOCARP Review 05 Low Carbon Cities, Chris Gossop and Fernando Brandão Alves (ed. ), Routledge, page 58-79.